We provide access to world-class laboratory services and field engineers, allowing you to capitalize on our advanced reclamation facilities and award-winning leasing model. Additionally, we offer DensiCalc and BrineWise software to help you maximize your investment. 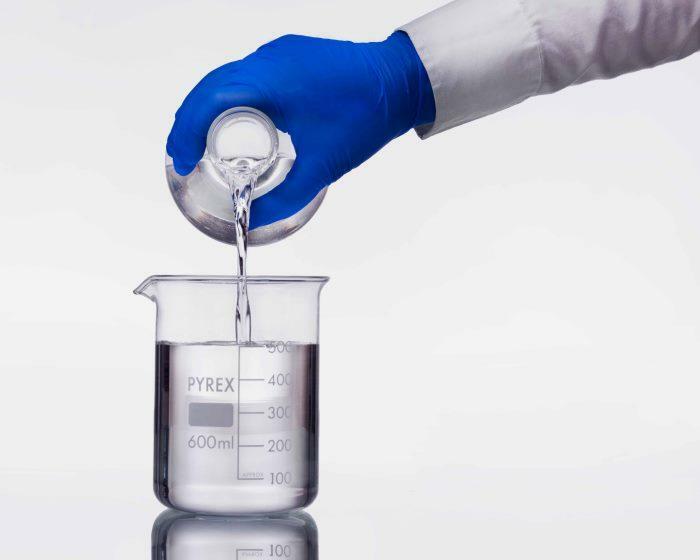 Learn more about how we provide end-to-end support for cesium formate brine products in the areas of clear brine, enhanced reservoir, performance drilling and special application fluids. Brine leasing is the sustainable way to save costs. The oil industry is familiar with leasing specialized tools, equipment and drilling rigs as a cost-efficient way of accessing high-value well construction technologies. We have leased cesium formate brine to over 300 well construction and intervention projects around the world. It is significantly more affordable to temporarily lease high-value cesium formate brine than it is to buy it. Chemical leasing encourages better chemical management, as the supplier and the client have a common interest in reducing chemical consumption and waste production. It's a sustainable solution as recovery, reclamation and reuse of cesium formate brine reduces chemical consumption and minimizes waste. In normal circumstances, 80-90% of brine volume is recovered through reclamation. 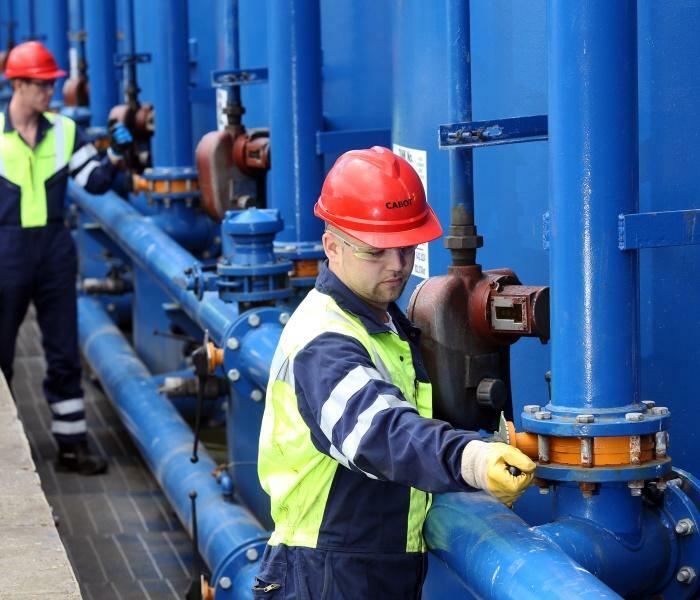 We maintain responsibility for chemical management, allowing you to focus on core activities. 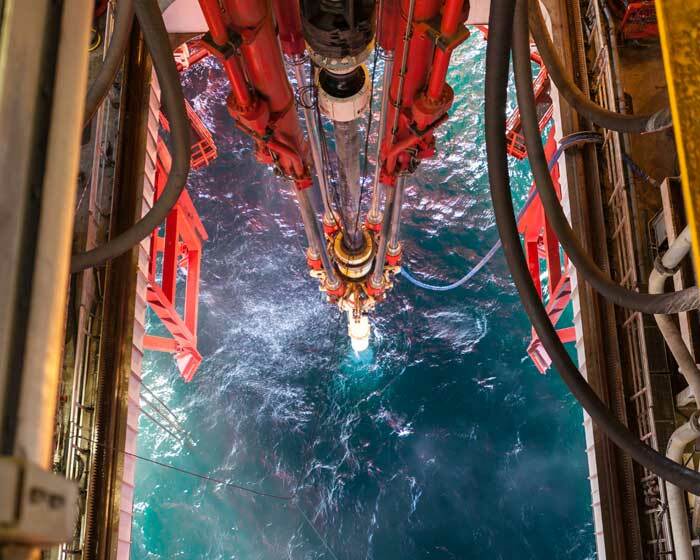 Our dedicated technical service team based in Aberdeen, Scotland works in partnership with operations teams in Aberdeen, Norway, Singapore and in the field. Our teams are highly experienced and well-resourced with comprehensive knowledge of formate fluids’ applications and deployment. We provide a full range of technical support and guidance to optimize formate brines and maximize returns for every project. Our solutions focus on decreasing well construction time and cost, maximizing production rates and delivering recoverable reserves faster, facilitating better reservoir definition, eliminating expensive well interventions, and reducing operational and SH&E risk. Additionally, we provide; discussion and presentation of detailed information and guidance to resolve question; a conduit between you and our technical resources such as production, engineering and laboratory services; assistance in developing fluid programs through supply or appropriation of relevant technical offset data; initiation, supervision and evaluation of custom laboratory testing to aid product application; knowledge sharing with you and your technical teams by providing information, data and practical training; dedicated ‘trouble-shooting’ support and advice service to onshore personnel, as well as active field operations; and a technical service team support network throughout the life cycle of any project from initial project planning to post-job review. 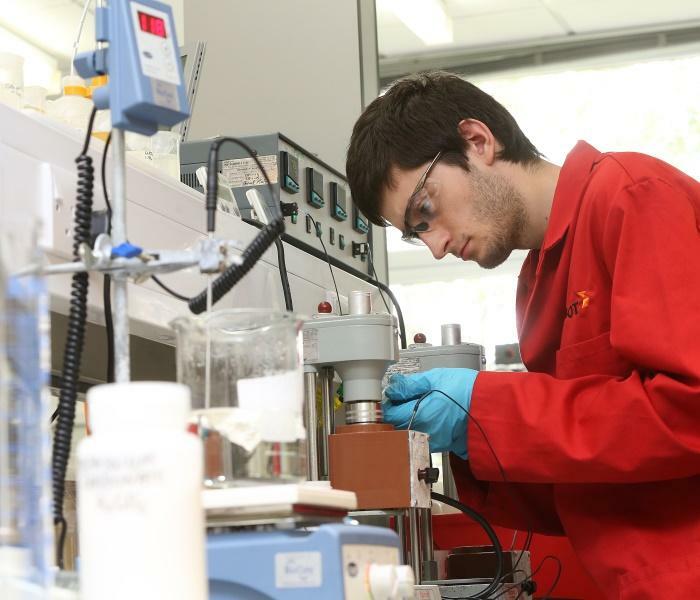 We operate a well-equipped technical service laboratory in Aberdeen, Scotland. Our extensive experience formulating and analyzing formate fluids places us at the forefront of global research and development. We can provide: customized fluid formulations using extensive knowledge of formate-based drill-in and completion fluid development as well as low-solids oil-based mud (OBM), stuck-pipe release pills and other specialized formulations; fluid analyses, including industry standard testing (based on the American Petroleum Institute) as well as various custom and analytic test methodologies; QA/QC product testing; external advice and training of formate testing methods and formulations; and trouble-shooting and technical advice based on in-depth knowledge and experience of formate brines, backed up by a comprehensive data library. Engineering support is provided by a dedicated team of specialists that can be mobilized anywhere in the world to advise on all aspects of transporting, storing and using cesium formate brines. Several members of the team each have more than ten years’ field experience of managing cesium formate fluids. 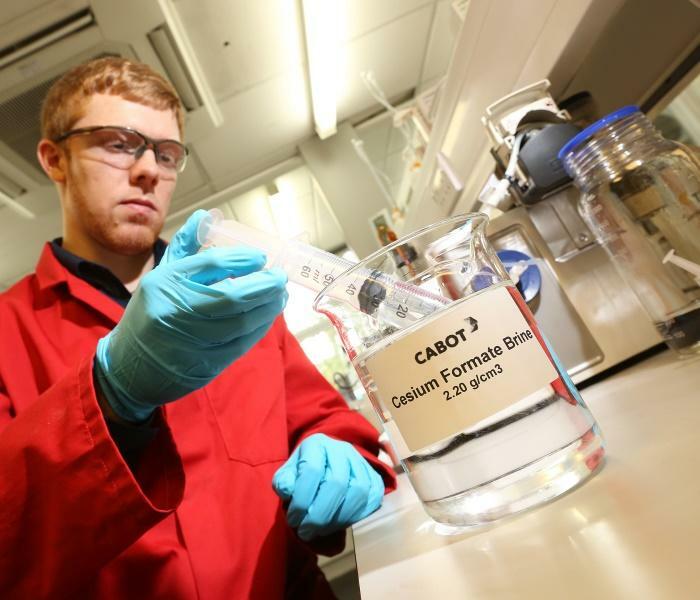 Our expert team of engineers is supported by the central laboratory in Aberdeen, Scotland. Its main task is to use its specialist knowledge and skills to assist operators and their contractors extract the maximum value from cesium formate brine at the lowest costs. 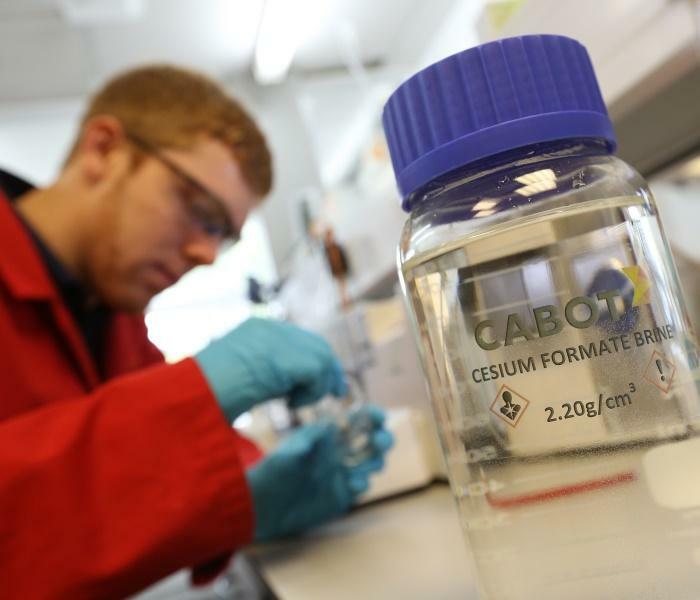 The team provides a full cesium formate fluid management advisory service, with particular emphasis on maintaining fluid integrity and value. In chemical leasing contracts, all parties have a common interest in conserving the integrity and value of the leased chemicals. With cesium formate brine leasing, this means minimizing fluid losses and reducing contamination of any kind. 1. Planning. Auditing the rig’s brine-handling and storage facilities and procedures, and assigning responsibilities and accountabilities. Recommending the best configuration of tanks and lines for displacement of the well to brine, including tank designation for returns, clean brine, clean-up and displacement pills, and contaminated interfaces. 2. Transport. Supervising and monitoring movement of cesium formate brine from Cabot’s storage to the rig. This covers all steps in the shore-to-ship and ship-to-rig process, including final preparation of the rig for receipt and storage, the physical integrity of the rig’s bulk liquid systems and, finally, housekeeping aspects of brine storage and handling. 3. Rig storage and surface handling. Supervising and monitoring rig storage, surface movements and uses of the brine, sources of contamination and volume and condition monitoring. 4. Well bore operations. Supervising and monitoring all displacements in and out of the hole, treatment of interfaces, preparation and deployment of specialized pills or additives, dilution and weighting-up procedures, volume and condition monitoring. 5. Subsurface losses. Monitoring and recording sub-surface losses and preparing contingency plans for dealing with sub-surface losses to the formation. 6. Recovery. Supervising and monitoring return of used brine to our storage tanks, including back-load procedures, surveying, recovery from the supply vessel and measurement of returned brine volume and condition. 7. Reclamation. Supervising the chemical analysis, mechanical and chemical reclamation processes, surveying and waste disposal operations. We reclaim used drilling and completion fluids, allowing them to be used in multiple wells with significant cost savings and minimal environmental impact. We take control of the process, leaving you free to concentrate on your business. This reclamation service is provided on a fixed-price basis for predictable cost control. BrineWise software is powerful management decision-making software that allows easy and fast comparison of the full costs of well completion and workover brines. Learn more by downloading the BrineWise software brochure or by sending us an email. The true cost of your completion brine is more than just its original purchase price. Handling, transport, waste disposal and safety, health and environmental (SH&E) risks all add significantly to the final price tag. If you don’t have a clear projection of the true cost when making the purchasing decision you may end up choosing the least cost-effective brine. Created by leading environmental consultancy, Gaia Consulting, for asset managers, well construction engineers, fluid coordinators and SH&E professionals, it helps informed decision making by giving you a full and comparative overview of real fluid costs beyond simplistic unit price/bbl comparisons. BrineWise gives you the opportunity to translate your SH&E policy into comparative cost units. SH&E factors are evaluated in a consistent and transparent manner to aid your company’s brine purchasing decisions. 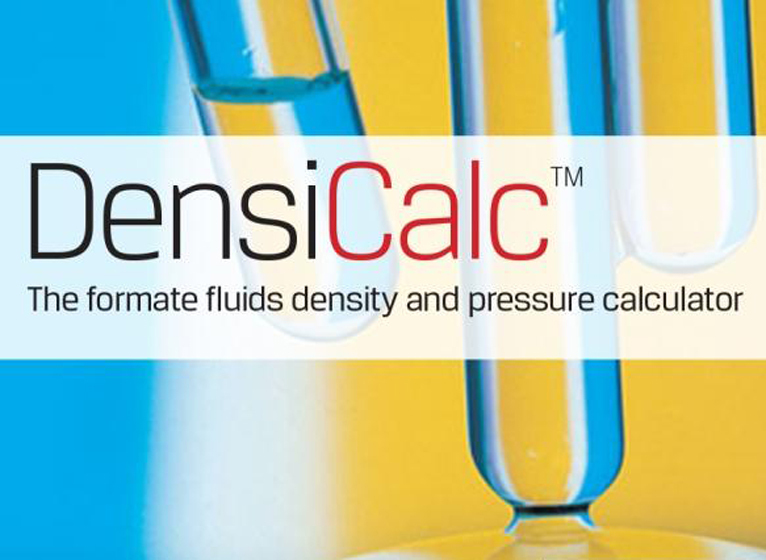 DensiCalc software version 5.0 calculates pressures and fluid densities for the entire formate brine density range from 1.01 to 2.30 g/cm3/8.34 to 19.20 lb/gal. You can instantly download DensiCalc software, which is compatible with Windows 2000 or above. PVTCalc software calculates fluid density, compressibility and thermal expansion coefficient for potassium and cesium formate brines. You can instantly download PVTCalc software at your convenience. The software can be used for potassium formate brines in the density range 1.00 to 1.57 g/cm3, (8.3 to 13.1 lb/gal), blends of potassium and cesium formate brines in the density range 1.57 to 2.20 g/cm3 (13.1 to 18.4 lb/gal), and cesium formate brine at densities from 2.20 g/cm3 to 2.30 g/cm3 (18.4 to 19.2 lb/gal). It calculates these properties for temperatures up to 250°C (482°F) and pressures up to 30,000 psi. The model used for the calculations is based on a measured PVT data set.